What type of rental properties and what areas do you manage? We specialize in single and multi-family homes in and around Salt Lake, Utah, Davis, and Washington Counties. We will consider select, quality multi-family properties in surrounding areas. We also manage smaller apartment buildings (under 100) and commercial office space. TierOne Real Estate, LLC offers you the level of experience and expertise you should seek from any property management company you hire. See the Management Services page, if you haven’t already, for a complete introduction to our property manager and professional team. Our team consists of seven licensed Realtors, 3 dedicated property managers, administrative staff and a core group of highly qualified vendors.Our property management clients appreciate the small office atmosphere and personal service we deliver. We have none of the employee and personnel hassles that can plague larger property management companies. Your property manager is available to you during office hours, however our office telephones are monitored 24 hours a day, 7 days a week. You should hire us only if you think we are the best match for your property management needs. Frankly, we are not a perfect fit for every property owner and it would be arrogant and wrong for us to simply proclaim “we are the best, hire us!” We may be the best property manager for some owners and properties but not for others. That is why this FAQ page exists so that you can learn about us and the guiding principles the property manager will employ in the management of your property.Turning over your rental property to the care of an unknown property manager can be an emotional and frightening experience. Talk to other property managers before hiring one, and ask questions. You want to be able to trust your property manager so that you won’t be worrying about your home. The more research and information you gather, the better you will feel about your final decision. Of course, we’d love the chance to earn your trust and manage your property, so please read on. We are asked this question more than any other by new owner prospects. Of course it depends on a lot of factors, but in general, most homes in and around Salt Lake City and St George are currently renting for about $1 to $1.50 of the homes square footage, or 0,5% to 0.8% of the home’s market value.The more expensive your home, the lower the ratio of sales to rent value. For example, a $120,000 three bedroom home may rent for $800 to $1100 per month depending on the neighborhood, the competition and the condition, while a $240,000 home may only rent for $1400 to $1700. This is a generalized range but will in fact hold true in most instances.Sales values raced past rent values in the last decade. Many owners who have purchased in the past 8 years, and made a small down payment, cannot lease the home for an amount that will cover the carrying costs – especially in newer neighborhoods that are not yet built out. You also might not have enough equity to sell without bringing money to the closing table. If you are in this situation, you are not alone. Some of our new clients are “involuntary landlords”, forced into leasing their home by market conditions. The good news is, if you can ride out the market, you are likely to be much better off in a few years than if you sell your home now at a deeply discounted price. This in fact is why many out of state investors bought investment homes in the area, expecting the long term gain to offset the short term cash flow loss.The most important thing to know is that the rental market is indifferent to your mortgage payment amount. The rental market does not care that you might have a negative cash flow, and will punish with extended vacancy the owners who overprice their rental homes. When you hire us as your property manager, we will look at the rental market in your particular area, survey the competing homes, and make sure your home is priced so that it will be viewed favorably against the competition. We give it maximum exposure while it is for rent and we carefully scrutinize all interested parties.FOR RENT SIGNS – Posted at the property with our website and phone number clearly displayed. Prospective renters can find out very easily – even at 7 PM on a Saturday – the price and size of your property and when it will be ready for move-in.MLS – Your rental property data is entered in the Wasatch Front Regional Multiple Listing Service giving access to over 6,000 other Realtors and Renters.All “For Rent” listings are now available to home searchers through the various public gateways, such as UtahRealEstate.com, PropertyPond.com and the KSL.com websiteINTERNET LISTINGS – Our available homes for rent in Utah are posted online complete with photos, videos, maps and property details for the convenience of those searching for a new home.LEASING LOCATORS – We make all of our listings available to the many Lease Locator companies in Utah. These non-Realtor companies specialize in helping tenants find apartments, duplexes and homes for rent throughout the area.WORD OF MOUTH / REFERRALS – Current and past tenants, friends of our tenants, referrals from other agents that we network with.CORRECT PRICING – Even the best and nicest homes will not lease quickly if overpriced. We make sure your rental home is priced according to current market conditions.THOROUGH PREPARATION – Even the best located and well-priced rental homes will not lease quickly if the rental home is not in top showing condition. Homes for rent along the Wasatch Front absolutely must show well and have an attractive “curb appeal” or they may sit empty for extended periods. Part of our job as property manager is to make sure your rental home is presented in a clean and attractive condition so that it will attract a good tenant. 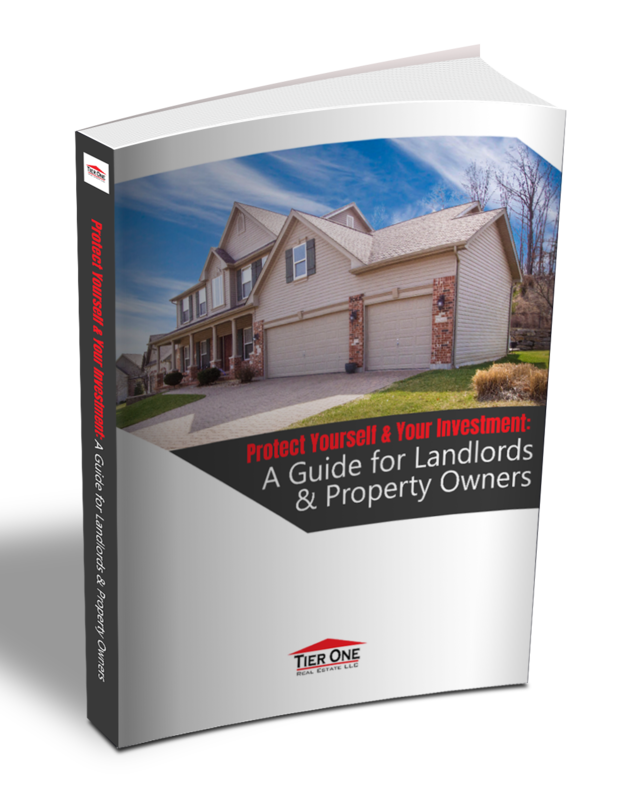 This is the most important aspect of the successful management of rental property. Application processing is typically done by us in-house. We don’t make a decision by sending the application to a third party for processing as do most other property managers. In general, we look at an applicant’s past behavior and assume their future behavior will be the same. An applicant must demonstrate a history of being a good, responsible tenant or homeowner as well as meeting credit standards. Nobody in Utah screens their tenants as well as our property management team.LANDLORD REFERENCES – We personally talk to past landlords and ask detailed, open ended questions about the applicant’s past performance.CREDIT REPORT – Our property manager and leasing agent has a direct connection with the Experian credit reporting service. We obtain a credit report which tells us the applicant’s current and past performance toward meeting their financial obligations. It also tells us their monthly debt, credit score, and shows their previous addresses (which we compare to addresses listed on the application). An applicant must meet established credit standards.DRIVER LICENSE VERIFICATION – We pull a copy of the applicant’s public driver’s license data. This tells us not only if the addresses given on the application are consistent but also when and what the last driver’s license activity was, such as a renewal or change of address. This is important because if someone says they have been living at a certain address for the past three years, but then we see they renewed their driver’s license a year ago at a different address, a red flag goes up and we often find in that situation that the applicant is trying to conceal bad rental history.EMPLOYMENT/INCOME – We contact the employer to verify length of employment, status, and income. An applicant needs to earn at least 3 times the monthly rent in gross income to qualify for rental, and we verify their pay stub.PETS – We don’t generally permit animals/pets into managed properties unless you allow us to do so, however, 50% to 70% of renters have pets. When we make the decision to accept an applicant with pets, we minimize your risk by limiting the breed, age, number and size of the pets. We also use a special pet addendum for your protection. We are careful in selecting tenants who wish to bring pets with them.OTHER FACTORS – Many of our managed properties are subject to Home Owner Association restrictions such as no boats or trailers, and limits on the type and number of vehicles. An otherwise qualified applicant may be unable to lease a property if, for instance, they own a boat and want to park it in the driveway. We make sure issues like that are covered up front to avoid surprises after move-in. Your property manager gives the tenant an opportunity to correct the situation, and usually the tenant does. If a problem persists, we will make a decision based on that specific situation. Eviction is a last resort. What happens if the tenant does not pay their rent?On the 4th of each month, we send late notices to all tenants with unpaid rent. We will post an eviction notice on the 10th day of the month if payment has still not been received. Whether or not the property manager eventually proceeds with a formal eviction depends on the specific circumstances. It is always financially better for all involved if a solution can be worked out. If the tenant has experienced a one-time event which is causing them a financial hardship, and we have had no previous problems with them, it is better for you and the tenant if we give them a chance to catch up – if there is reason to believe they can do so. If the tenant has demonstrated an ongoing pattern of late payments, broken promises about payments and/or evasiveness, we know from experience that eviction is the best course of action.Each case is unique and the property manager will make a decision based what is best for you and your home in the long run. That said, we always proceed with the legal notices required for eviction regardless of any other factors. We simply postpone the actual filing of the eviction if the tenant is showing favorable effort toward resolution. Eviction for non-payment of rent in Utah is a slam dunk and there is no way a tenant can prevail in court if they have not paid rent and the landlord has properly executed the notices and filing process. Full evictions, when necessary, can often be completed by the fourth week of the month. Absent any special considerations unique to you or your property, our rule of thumb is this: If something may cause a potential interruption in your ordinary cash flow (loss of tenant or non-emergency repair in excess of $300), we will let you know about it right away. Other than that, the saying “no news is good news” is most appropriate. Non-emergency items will be communicated along with your monthly statements and, of course, we encourage you to contact the property manager anytime you have a question or wish to discuss something.We know some owners desire a level of involvement that our property management system is not designed to accommodate. We try our best to make sure you are a good match for our style of property management. Part of that process is this Question and Answer page so you can obtain a sense of how we think and how the manager will manage your investment property.If you are a worrisome property owner or someone who desires a high degree of personal involvement with the property or who needs constant communication from the property manager, such as a phone call before any repairs are completed, we are probably not a good match for your needs. The property owners who appreciate us the most are those who truly want everything handled for them, turn-key, and don’t want to be bothered unless something important is happening. That is the type of property management service we offer. Tenants may submit their requests by mail, but most fill out an online form on our website. After we receive a repair request, the property manager may contact the tenant and ask them questions which will help us determine the exact nature of the problem before sending a service technician. We also make sure it is not something the tenant can fix themselves (ex: reset button on the disposal, tripped breaker) before your money is spent on a service call. After determining that it is a legitimate problem, we will send the appropriate service vendor to make the repair.We tell our tenants that we are able to handle most repair requests within 1 to 3 working days, and in fact are usually able to do so. Habitability and safety issues such as air conditioning, no hot water or heat, receive highest priority and are usually attended to the same or next business day. No. There is nothing more truly stated than you get what you pay for. Our people are middle of the road in price and are competent and reliable. We also have dedicated all-around maintenance sub-contractors who are capable in a wide range of home repairs including air-conditioning, light plumbing and electrical. Our main handymen charge about $45 per hour. Our other vendors range in price from $35 per hour to $75, and sometimes more for conditions such as an after-hours emergency sewer backup. We have our lower cost handymen handle most of the multi-trade and make-ready tasks and use other vendors when we are backed up. This saves our owners a lot of money on multi-trade repairs by cutting down on the number of service calls to the property by different vendors. It also means that if we are called out on a dishwasher repair, we are going to be checking the a/c filter, sink drains, smoke alarms and general condition of the property – something that a single trade vendor will not do for you.We have developed a very sensible approach to handling maintenance and repairs and that you will realize the maximum cost savings that other property managers simply can’t deliver. We will hold back $300 per unit in your account so that we always have funds to pay our vendors quickly. How do I know your property manager won’t spend my money on large repairs without my approval?This is a legitimate fear. We promise in our contract not to do that. For ordinary maintenance and repairs of less than $300, the property manager will take care of it without notifying you. You will find out when you receive your monthly statement. If we think a repair might exceed $300, we will call you and let you know what is happening, what we think should be done, and what the estimated cost might be.Sometimes expenses such as a replacing a bad water heater, a roof leak that needs patching or repair, or emergency A/C and furnace repairs are unavoidable. In those cases where 1) the health or safety of a tenant is an issue, or 2) in instances where there is only one option to consider or 3) the property will incur damage if immediate action is not taken, the property manager will initiate the repair work, even if exceeding the $300 limit, and then let you know of the situation and what we are doing about it. Mainly, we don’t think important repairs should be delayed while we try to contact you for permission to do the obvious. We already have a stable of very qualified and reasonably priced vendors that we have used for many years. If you would like to nominate a service company to be added to our vendor list, they can contact us and we will interview them and let them know what documentation and references we need, what our invoicing and payment policy is, etc. However we cannot guaranty that your favorite company will be sent on all service calls to your home. Our concern is always to resolve repair problems in the most efficient way possible, with the best available vendor, at the specific time. Property managers can’t keep track of a pre-established roster of vendors assigned to certain properties – it would be cumbersome and lead to an inefficient property management system – and would ultimately not achieve the best service to the tenant and your investment property.Our professional reputation as property managers, both with tenants and owners, is largely, if not almost entirely, determined by the effectiveness with which we handle maintenance. We follow a practice that is most likely to insure the best possible response and resolution to maintenance and repair problems for your property. I want you to use my Home Warranty Company for all covered repairs, is that okay? No. Sorry, but we won’t use any warranty company to make repairs at your home. The logistics and communication problems we have encountered with past attempts to use the warranty companies are not acceptable for the level of property management service we strive to achieve.A warranty company once left our tenant without air-conditioning for 9 days in August (100+ degrees) while they went through their ridiculous “second opinion” process. The property manager finally had to call out our regular people who had the problem fixed in two hours. We vowed never again to be hamstrung by that sort of lunacy.If you insist on your home warranty company to be used for the repairs and maintenance of your rental property, we are unfortunately not the property management company for you. We no longer accept properties with pools or operational spas. The liability is unacceptable. If your home has a spa, we will have it winterized and shut it down, therefore not including it with the use of the home while rented. It must also have a hard surface cover that can be latched down. Well, we’ve been property managers long enough to have seen and experienced everything imaginable, and we prefer to anticipate and avoid common problems rather that deal with the same ones repeatedly.We believe you and your investment property is best served by a property management system that is as free of problems and chaos as possible. Hence, we don’t handle pools, don’t work with home warranty companies, don’t take run down properties, don’t rent to large groups of roommates, etc., because we know those things consume a disproportionate amount of a property manager’s time and distract from the care and attention that your good property deserves.We strive to maintain a group of “like-minded” clients with properties that are at the same time diverse, yet homogeneous enough that our systems, methods and style can be applied uniformly across all properties we manage. The worst property manager you can hire is one who good heartedly tries to accommodate every special circumstance or request from his various owners until his operational system is so scattered and ill-defined as to be dangerous. We like the consistency and predictability that comes with welcoming owners and properties that are compatible with our system of property management.If you think about it, when you hire a property manager, you are for better or worse, employing that property manager’s system (or lack thereof). We promise you our system of property management is mature, stable and time tested. We will make good decisions for you. Your property will receive professional care and maintenance. Your lease agreement with the tenant will be enforced in a cordial businesslike manner, and we will always act in your best interest while at the same time insuring that your tenant receives fair and ethical treatment. You can expect also that we are always looking for ways to improve our service.We do want you to thoroughly examine our company, check out our reviews, ask any questions that are not answered for you on this website, and make sure that ours is the property management system you want serving you and your property. Owner’s checks are distributed each month between the 15th and no later than the 20th for that month’s activity. It takes the banks between 3-5 days to deposit. Most months, you will have your funds in your checking account prior to the 20th. We encourage Electronic Fund Transfer (EFT) or what our system calls ePayments. Your check is automatically deposited directly into the account you designate. What will I receive on my monthly statement? The monthly statements are available by the third day of the month, online, on the Owner’s Portal. These show all income and expenses for the accounting period. For a single family home our usual property management fee is 10 percent of the monthly rent, with a $75 per month minimum, however each property has its own unique challenges and opportunities. Multi-family units are different. Please contact our office for a free consult or see Pricing. The Owner is not responsible for any type of leasing fee. If classified advertising is used (at your authorization) those costs are passed to you. We absorb ALL other costs of leasing the property including MLS fees, internet marketing, For-Rent signs, lockboxes, enhanced placement, etc. Unless it is a large multi-family property, No. We don’t try to compete with Realtors who practice property management as a side business. Frankly, we know you can find a cheaper property management company along the Wasatch Front. We don’t think price should be the determining factor in deciding which property manager you hire to manage your home.The ultimate cost of using a property manager is determined by many things other than the fee charged. The efficiency and manner in which maintenance and tenant relationship problems are handled, and the attention to detail during the leasing process are two of many areas in which we excel. We feel that our set of services, our systems, and the experience and expertise we offer are a fantastic value at the nominal fee structure we have established. There are no administrative fees. We don’t charge for copies, long distance calls, or other incidentals. We don’t nickel and dime you with petty fees as do some property management companies. The only other expenses you could incur would be for services which fall outside the normal scope of our property management agreement (such as contracting a major renovation, restoration or remodel, assisting in sales efforts for which we are not otherwise being paid). These scenarios are all outlined in the Property Management agreement, but rarely come about. No. We can sell your property if you would like us to, but we don’t bind you to that in the management agreement. This is another trick that discount property managers use. They manage your home at little or no profit knowing they have you locked into an eventual sales listing. We think, at the time you decide to eventually sell, you should be free to decide who the best listing agent will be for your property given its location and characteristics. Is the Property Management Agreement a standard, widely used form? Yes. We use the same agreement used by the Utah Apartment Association. However, our agreement is updated and adjusted several times a year to account for changing local and national regulations as well as evolving industry trends. 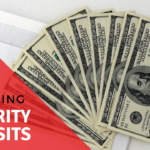 All security deposits must be held in our state mandated deposit trust account. How much of a security deposit do you charge the tenant? As a general rule of thumb we usually get one month’s rent for deposit, rounded up to the nearest hundred. This is what will be asked for by most property owners and property managers in the area. It looks like you have a few negative reviews. Can you explain? As of this writing, any poor reviews we’ve received have been from either a past tenant, their friends, or a potential tenant we’ve determined not to meet our qualifications. Fortunately, our Owner clients have only posted positive reviews.We are in an industry where we have to perform a balancing act. We have to stand up for the best interests of our Owner clients, while maintaining a positive working relationship with our tenant clients. But we work for you – our Owner client. If you find a property manager with only positive tenant reviews – beware! They’re either not looking out for their Owners, or they’re new to the business and have no experience to review.But we have to look at the feedback constructively. We’ve found that most frustrations arise from tenants not understanding or reading the lease agreement. So, there is always room for improvement in communications. We are constantly looking for ways to adjust and improve our internal systems. We now ask you, if you find our site and our services helpful, please leave us a constructive review as well. 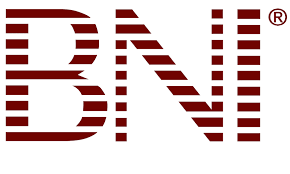 We are licensed Realtors and active members of the National Association of Residential Property Managers (NARPM). There is no “Property Management License” requirement in Utah, but professional property managers must have a Utah Real Estate Broker’s license in order to be compensated. Real Estate “Agents” are not Brokers and are NOT licensed to manage real estate for compensation. The number one cause of complaints, fraud, and incompetence to the Utah Division of Real Estate stem from this very issue. If you are interviewing property managers, make sure the Agent is overseen and actively managed by a licensed Broker – and an active member of NARPM! We can start the process immediately. We will start by obtaining some information about you and your property and helping you decide if we are a good fit for your needs. Contact us online or call our office at 801-486-6200.